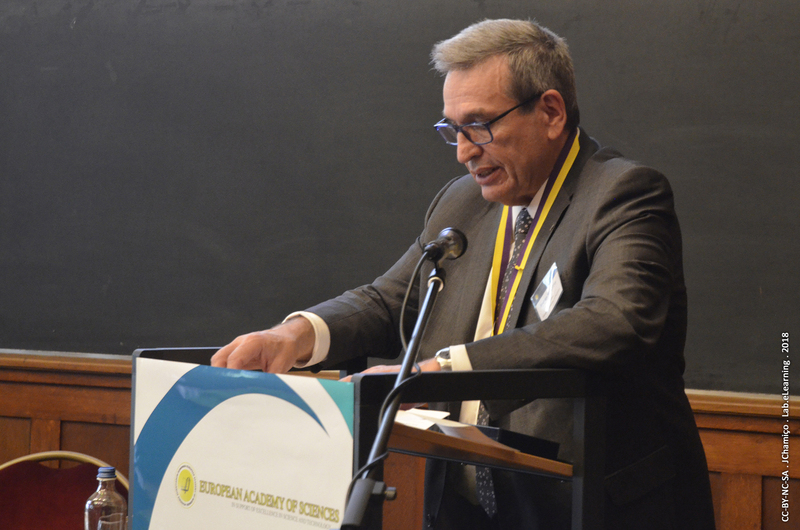 Professor Rodrigo Martins from 1D-NEON partner UNINOVA is the new President of the European Academy of Sciences! The European Academy of Sciences (EURASC) is a non-profit non-governmental, independent organization of the most distinguished scholars and engineers performing forefront research and the development of advanced technologies, united by a commitment to promoting science and technology and their essential roles in fostering social and economic development. The taking office of the first portuguese EURASC President, Rodrigo Martins, and the new Heads of Divisions and Officers was held on 13th April 2018 at the Fondation Universitaire in Brussels. The ceremony was attended by the European Commissioner for Research, Science and Innovation, Carlos Moedas among several other illustrious.